Prominent & Leading Manufacturer and Supplier from New Delhi, we offer Trade Show Fabrication Services such as Trade Show Stall Designer Services, Trade Show Booth Designing Services and Trade Fair Stall Management Services. We are one of the widely acclaimed service providers of Trade Show Stall DesignerServices. 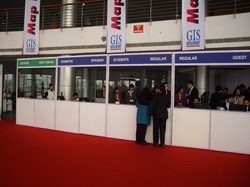 The offered trade show stall designer is rendered by the domain experts. Our offered trade show stall designer is widely liked and availed by the clients, across the country. The offered trade show stall designer is available at very affordable and competitive market rates. We are one of the leading service providers of Trade Show Booth DesigningServices. The offered trade show booth designing is carried out by the most experienced and expert professionals of the trade. 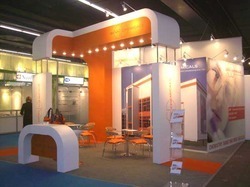 Our offered trade show booth designing is executed in accordance to the latest trends and styles. The offered trade show booth designing can be availed at very economic and affordable market rates.